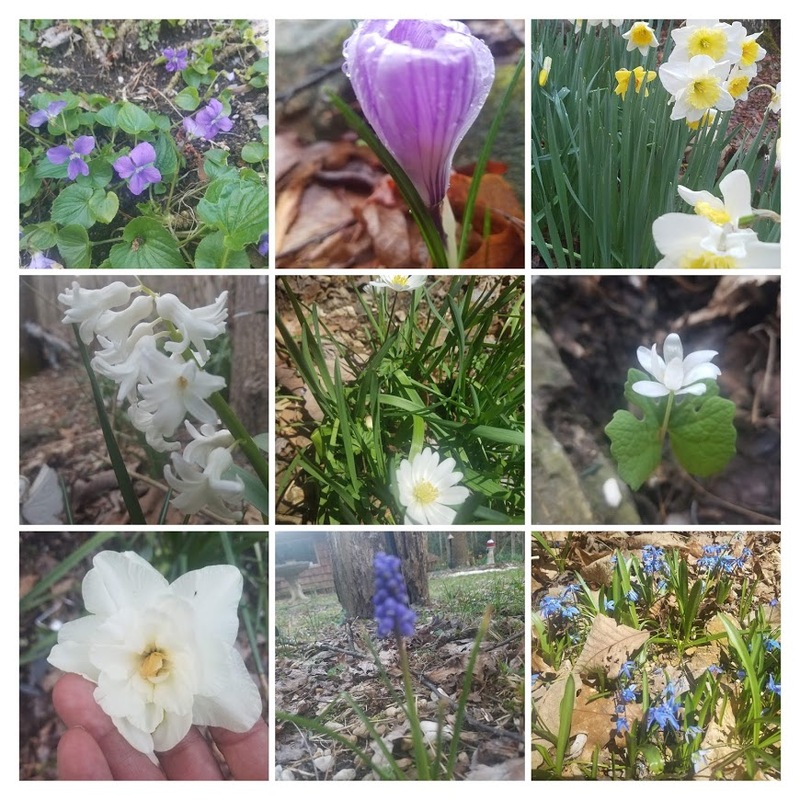 It is a SpringFling around the gardens and woods! Flowers and color are abundant. I must say that the intensity of Spring brings a smile to my face. I am still spending a fair amount of time around here.....instead of running around as has been so common for me. The "grounding" has no doubt been good. I am driving a bit.....and loving it!!! 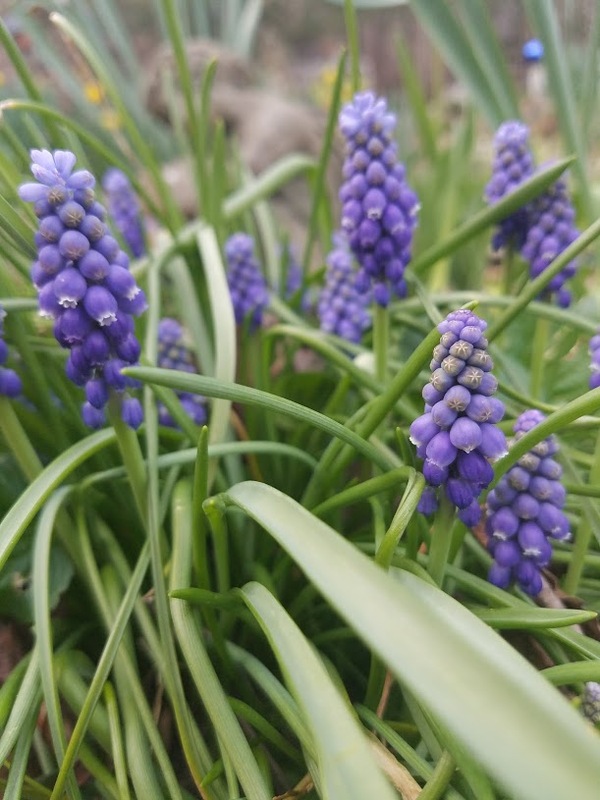 Grape Hyacinths are one of my favorite little jewels. They give off such a lovely beautiful scent. The hybrid hyacinths are full of fragrance......and I love them too. Violets of every color have dotted the lawn; blue, yellow, white and a brilliant purple make it hard to even think of mowing!!! Though the grass is growing!! 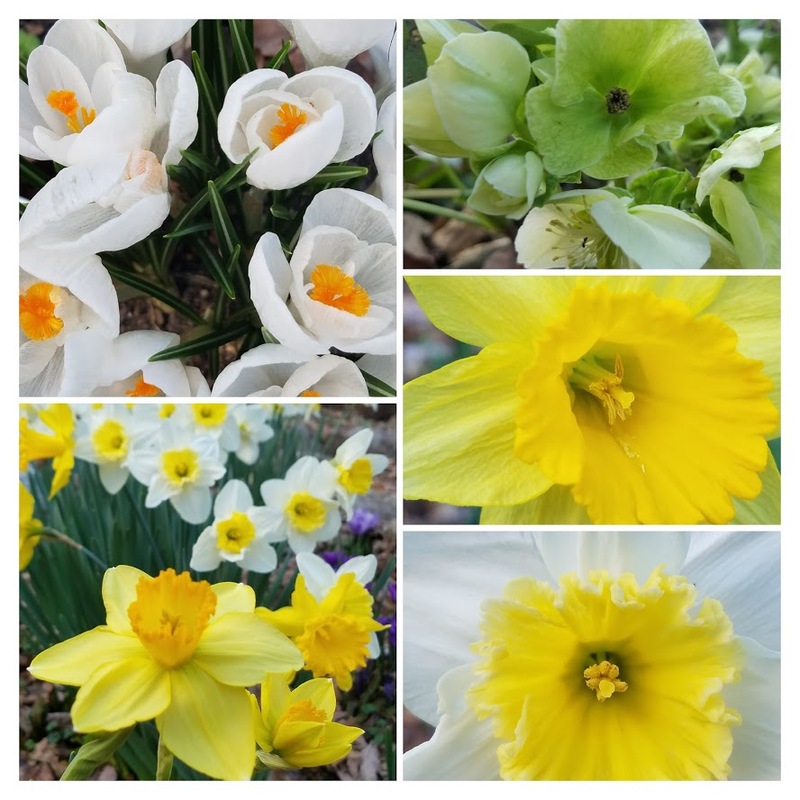 Daffodils are beginning to wane as the tulips open. 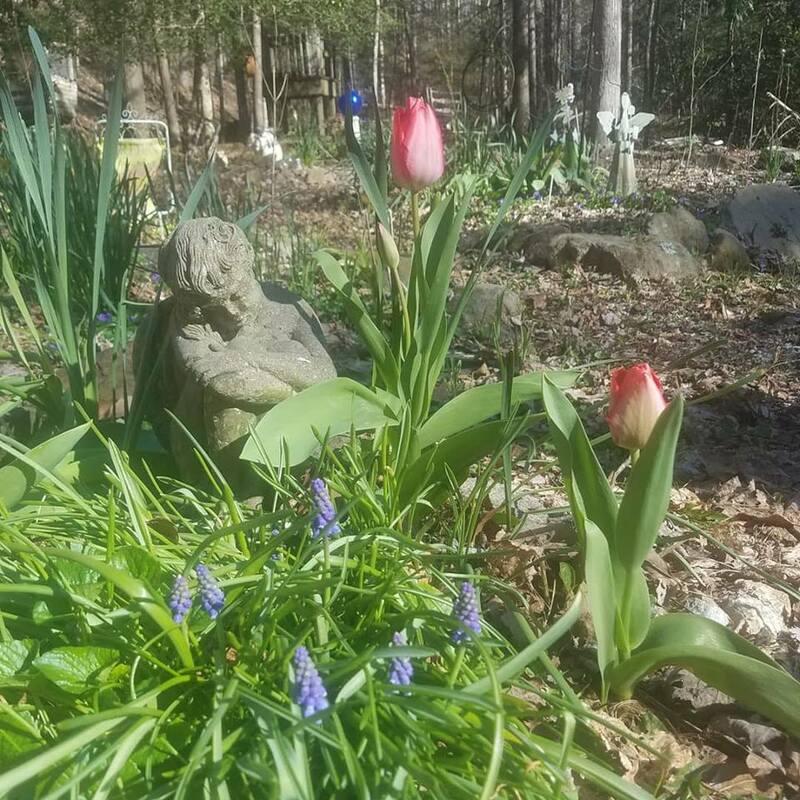 Soon I expect the lilies will arrive. And the Dandelions are here!!! I love this plant and will write an entire post soon. A gorgeous full moon presented itself a few nights ago. The glowing moon created quite a site in this landscape of color. Hard to get a photo of that! 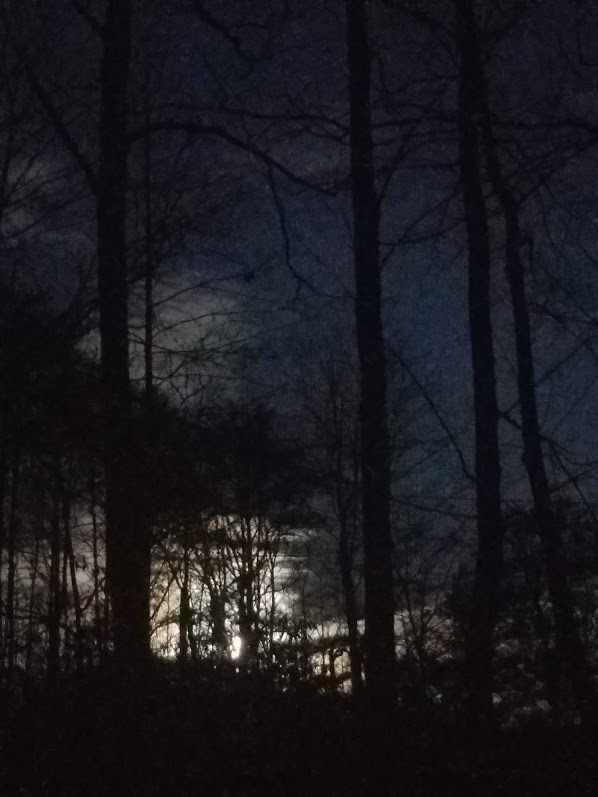 Here is the moon rising over the cabin in the woods. Nettles are up, bloodroot, ginseng, goldenseal and mayapple are beginning to poke up their heads through the leaf litter. Cynthia's "Healing Kit" is available through March. Get it here. It is a 50% off and free shipping special of all the goods I have been using during my continued healing from my elbow shattering.